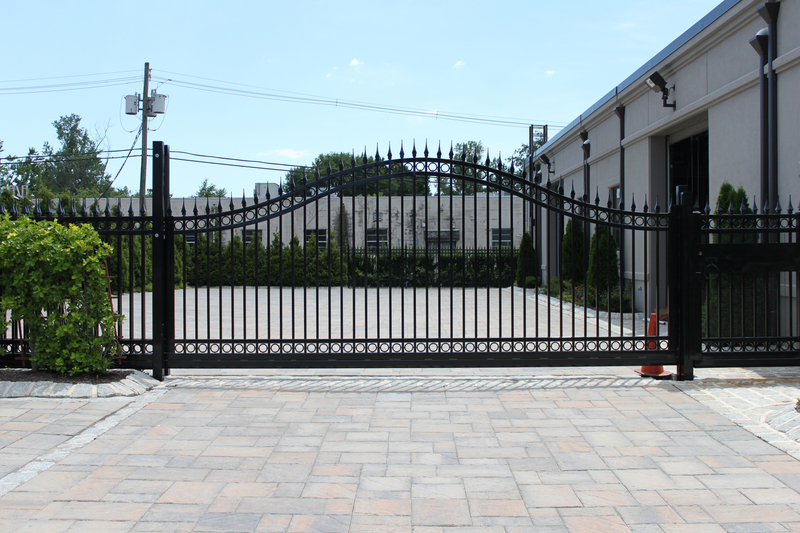 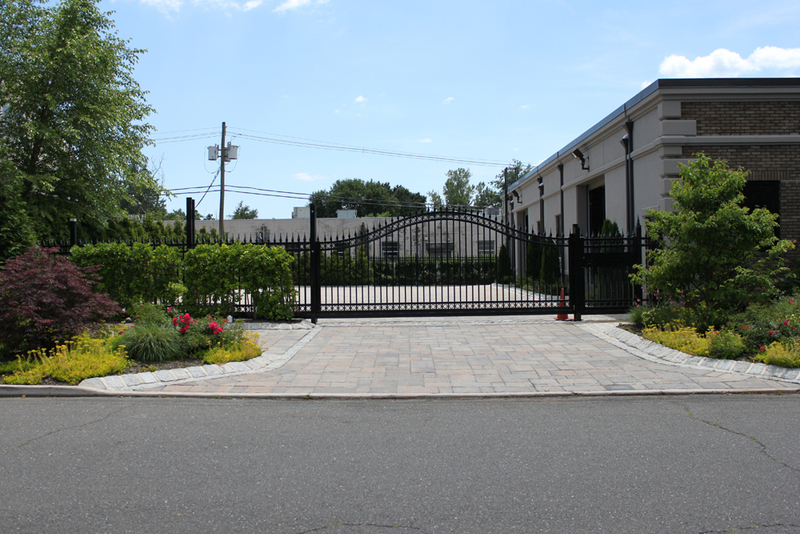 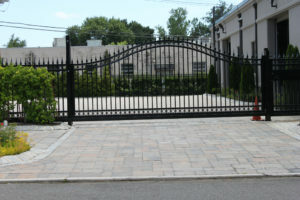 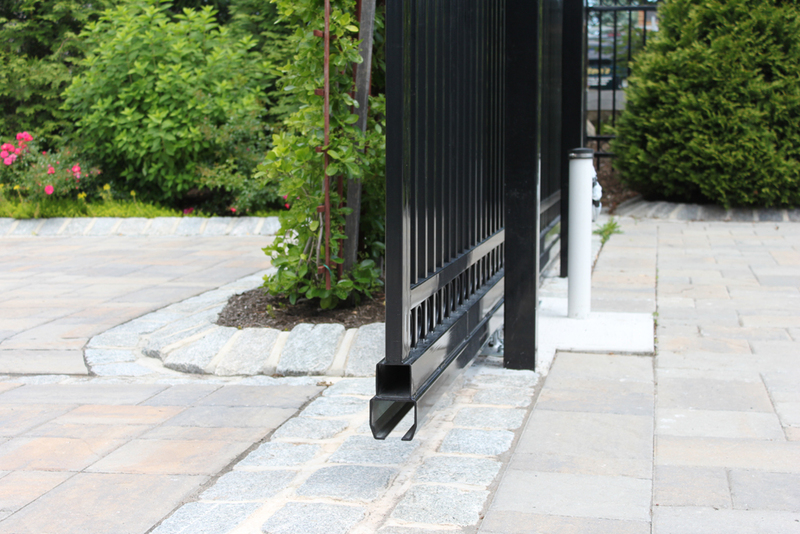 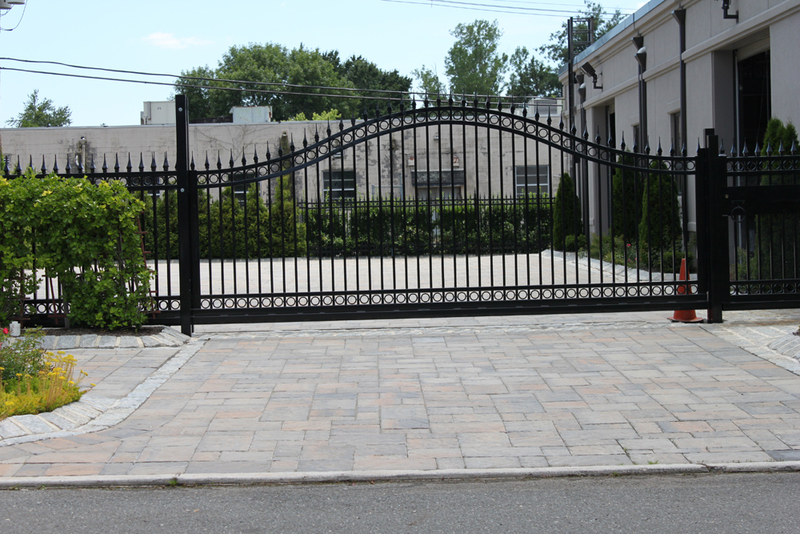 Due to a sloping driveway, the luxury garage could not use an ordinary sliding gate. 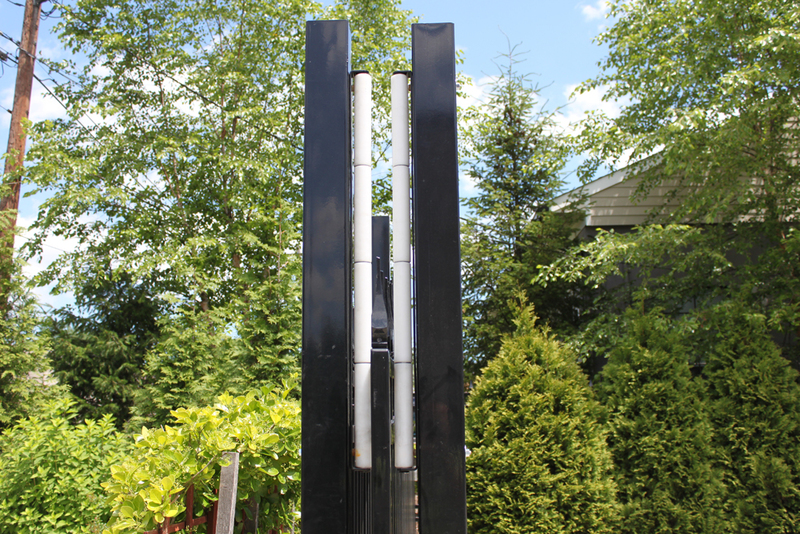 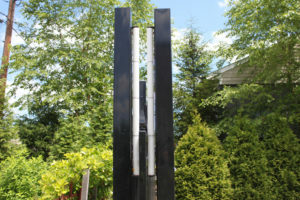 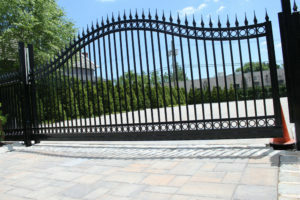 The gate weighs over 1500 lbs and the opening is about 22ft. 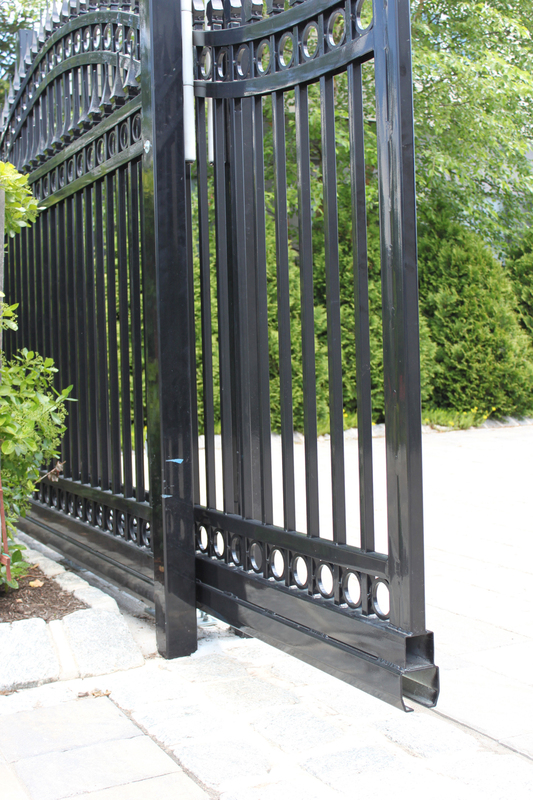 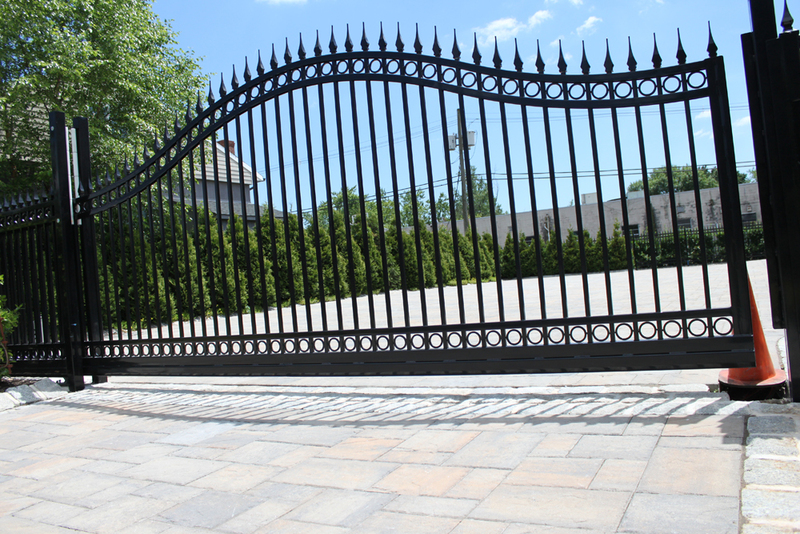 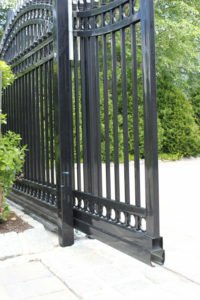 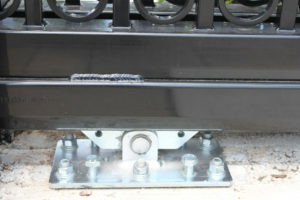 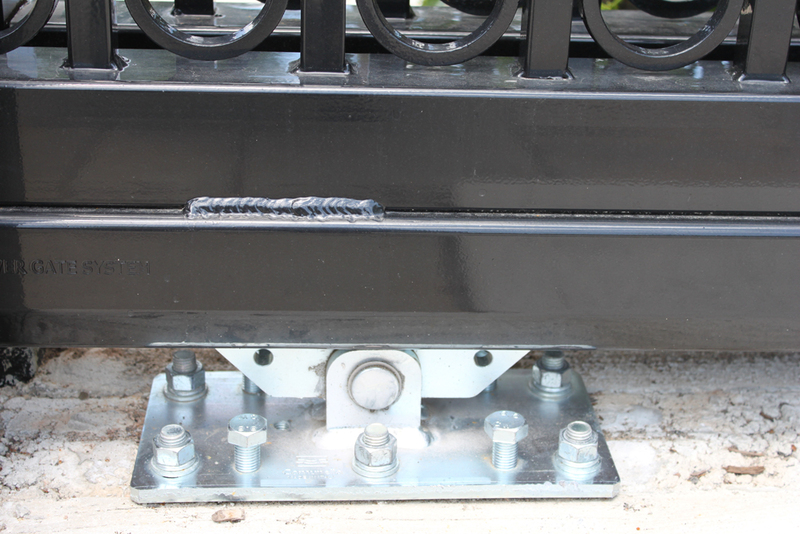 A custom gate was fabricated on top of the CGS-345P track. 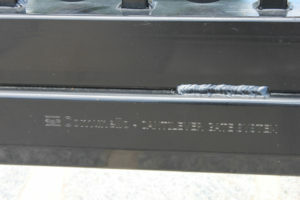 The fabricator used 6 of the 10” nylon rollers, item 253, so that the arch of the gate is always in contact with the top guide. 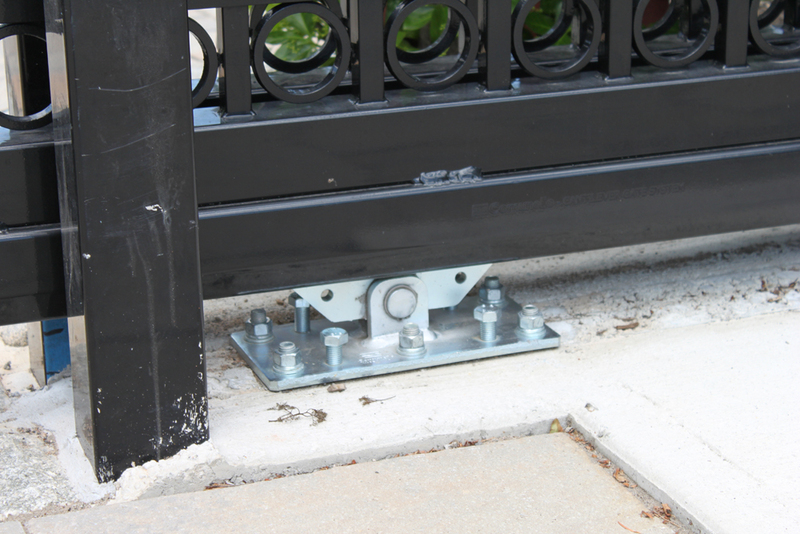 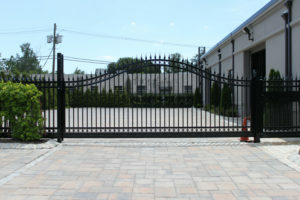 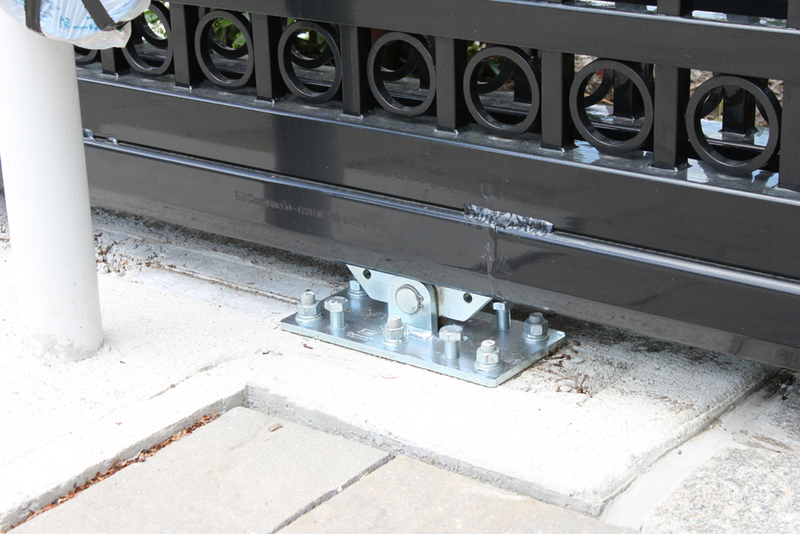 DuraGates made it possible to have a sliding gate where none was possible! 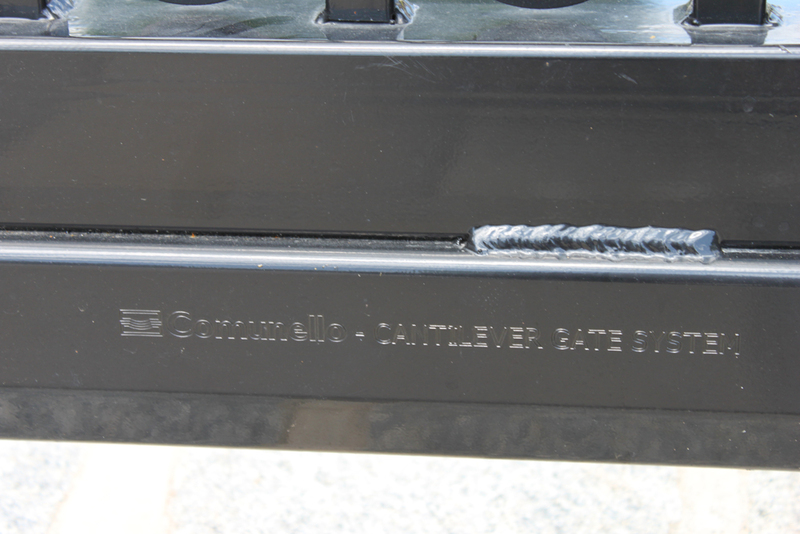 The hardware is virtually invisible. 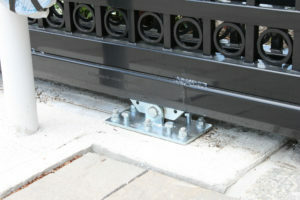 This sliding gate can be operated manually with a finger as shown in the video although it is not yet automated.